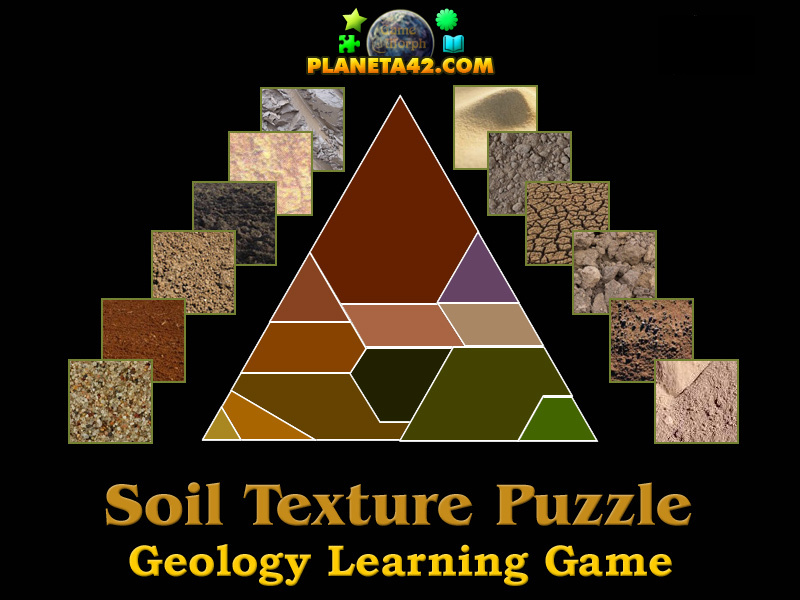 "Soil Puzzle" is a small knowledge level game, to study the types of siols. 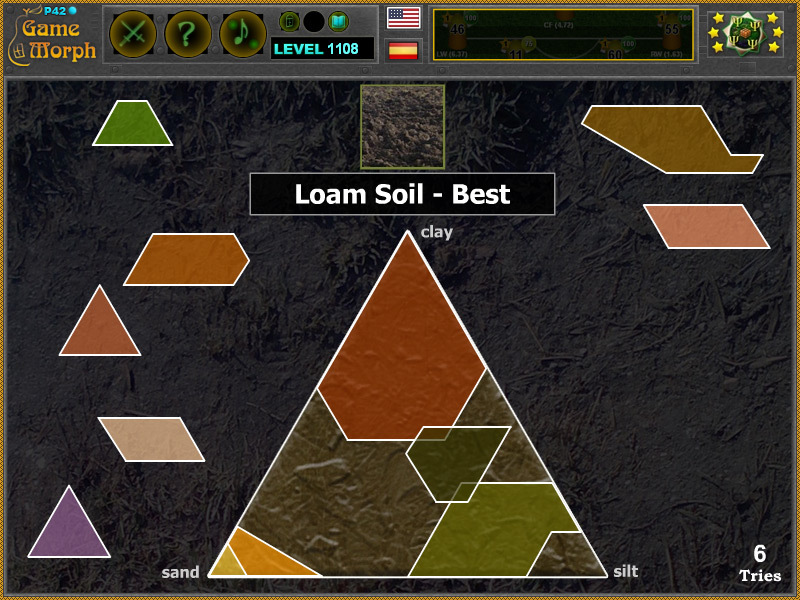 Complete the diagram of the soil texture triangle. Interactive soil composition. Fun educational geography game, suitable for online lessons and interactive classes. Minute to win it game. Soil composition puzzle. Free online game. How to play Soil Puzzle. There is the empty triangle of the soil mixture in the center of the screen and there are 12 pieces of the puzzle to fit in a specific place in this triangle. Drag and drop the pieces over the triangle in the location where it shpuld appear. A small information window will show a picture of the soil and the name of the soil. Know at least 3 soils and get +1 Knowledge Level. Here is the soil texture triangle, which compile all types of soils. The 3 main soils are sand, silt and clay and all others is a percentage mixture of them. In the down middle there is the composition of the Loamy soil, which appears to be the best soil. What is the soil texture triangle? Labels: Geology Games , Interactive Diagrams , Learning Games , Geography Games , Education Games , Free Online Games.